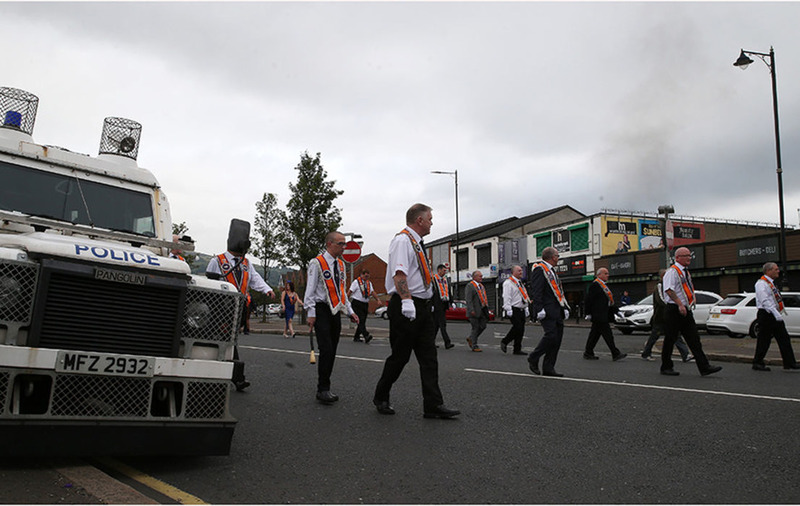 Thousands of Orange Order members are taking part in Twelfth of July parades across the north after a night of sporadic violence. Masked men hijacked and torched vehicles in and around Belfast amid loyalist anger about moves to reduce the size of two loyalist Eleventh Night bonfires, while in Derry republican youths engaged in a fifth successive night of disorder in the Bogside area, throwing petrol bombs at police. PSNI Assistant Chief Constable Alan Todd condemned those involved. "The disorder we have seen has been caused by a small minority of people who have no regard for their communities," he said. While the Twelfth has passed off peacefully in recent years - helped largely by the resolution of a long-standing parading flashpoint dispute in Ardoyne, north Belfast - the overnight disorder means this year's commemorations take place amid a tense backdrop, with concerns about the prospect of further trouble later on Thursday. 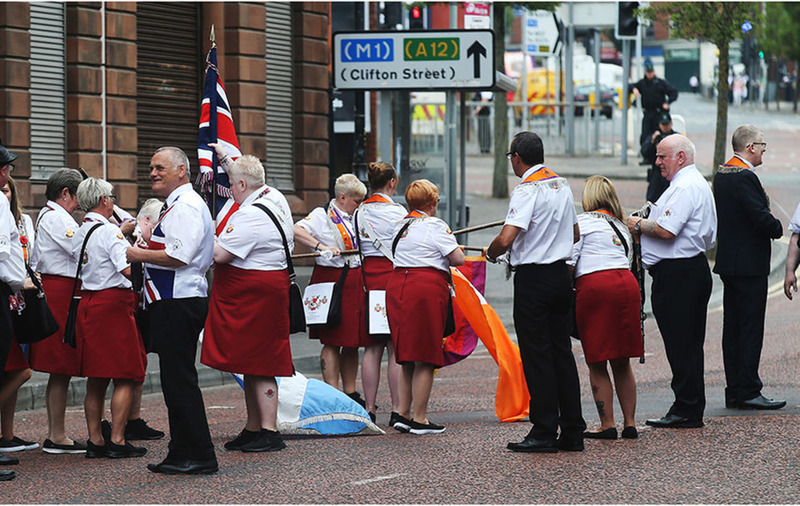 The deal between Orangemen and nationalist residents over arguably the most contentious parade in Ardoyne ensured that event again proceeded without incident this morning. 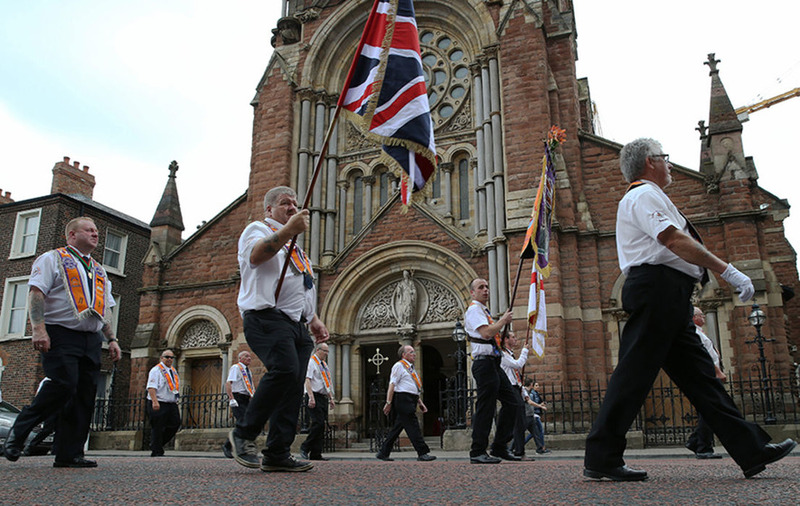 That was one of around 600 feeder parades taking place across Northern Ireland, with Orange members and supporting loyalist bands congregating at 17 host venues for events. Last night, 13 vehicles were set on fire in Belfast and surrounding towns. A suspected pipe bomb also detonated close to a police operation to clear a contentious fire site in Belfast while other security alerts prompted the closure of main roads, with one incident preventing newly arrived passengers exiting Belfast City Airport. Masked men also used burning cars to block roads close to the Ulster Hospital in Dundonald on the outskirts of Belfast, while a bus with passengers on board was hijacked before being set alight in nearby Newtownards. Yesterday's incidents unfolded amid a police warning that the UVF was planning to "orchestrate and participate in serious disorder" in east Belfast. The violence came after loyalists expressed anger at moves by the authorities to limit the size of bonfires at two controversial sites in the east of the city. Hundreds of Eleventh Night bonfires were lit at midnight to usher in the Twelfth commemorations. By 1am on Thursday, the Northern Ireland Fire and Rescue Service (NIFRS) had received a total of 327 emergency calls, mobilised to 164 operational incidents - 57 of which were bonfire-related. 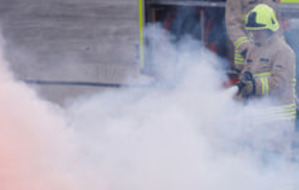 Fire officers said the figures represented a 23% increase on incidents attended last year, with the regional control centre at times handling an emergency 999 call every 48 seconds. Fire appliances came under attack on three occasions, at Carn Hill in Derry, Moygashel near Dungannon and Ballycarry/Whitehead. No firefighters were injured. While the majority of Eleventh Night fires pass off without incident each year, in recent times there have been community tensions in east Belfast over the size of the Bloomfield Walkway and Cluan Place pyres, with many residents fearful of potential damage to their properties. Loyalists claimed they had taken steps to minimise risk to buildings this year and characterised attempts to restrict bonfires as attacks on their culture. The violence in Derry has been ongoing for five nights and does not appear directly linked to a bonfire or parading dispute. Republicans in the Bogside area, the majority of them youths, have been engaging in sporadic disorder, targeting police and residents of the nearby unionist Fountain estate. 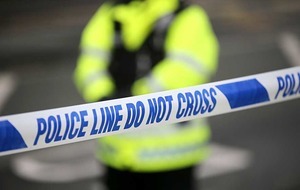 There was a major incident on Tuesday night when dissident republicans opened fire at police with an automatic weapon. No one was injured. Wednesday night's disturbances were on a lesser scale, with young people throwing 16 petrol bombs and other missiles at police stationed on the historic city walls. Two crudely fashioned explosive devices were also found on the walls. A fire was also started at the bottom of the flyover in the Bogside. 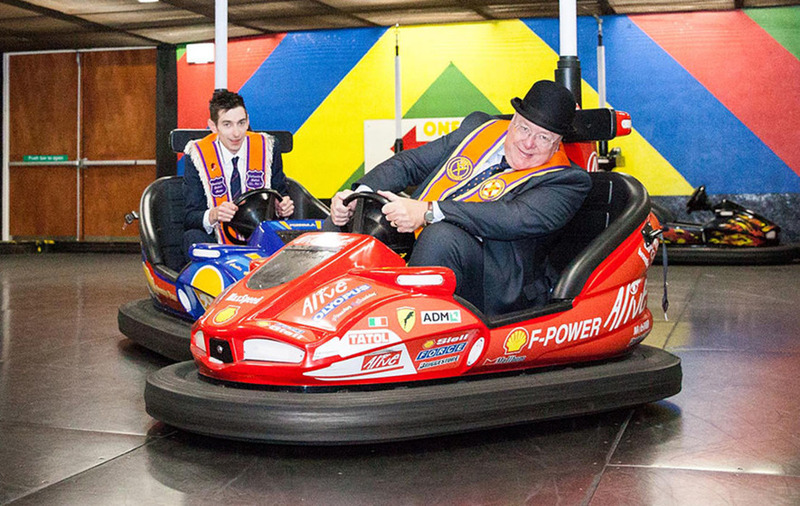 The PSNI condemned the outbreaks of sporadic disorder across the north. Assistant Chief Constable Mr Todd said: "No part of this is acceptable and today we are looking at the evidential picture to pursue lines of enquiry. "I would like to pay tribute to the job that my officers, along with other emergency services, did last night. "No one wants to see disruption and disorder and the people behind these incidents need to ask themselves just what they are achieving. 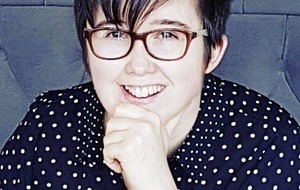 "I sincerely hope that today passes off peacefully and that the thousands of people who are attending community events and parades can do so enjoyably and safely. "I would ask all of those with influence to work with us to ensure the safety of all. "Our priority remains keeping people safe and I want to reassure people this morning that our response, should there be an further disorder, will continue to be proportionate with the necessary resources in place to detect and deter those responsible."